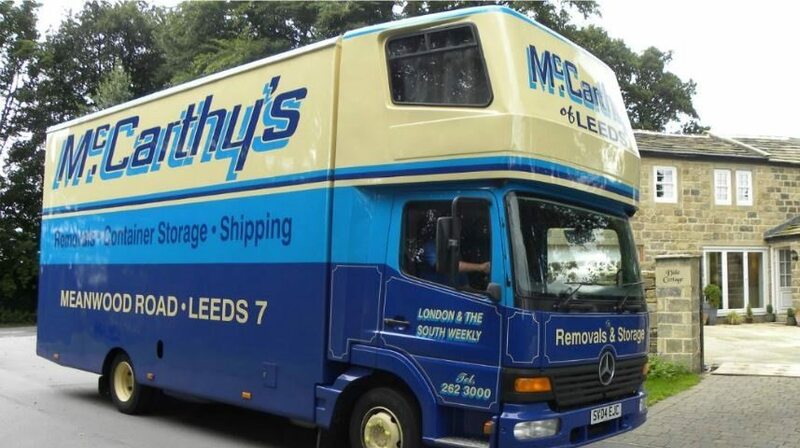 McCarthy’s Removals and Storage are celebrating 50 years of removals and we are proud to have become the largest privately owned removals company in Yorkshire. Throughout that time we have carried out over 150,000 removals from Leeds to York, Harrogate to Wakefield and across the rest of Yorkshire! That’s a LOT of boxes! When you’re preparing for a removal it can be a very exciting yet daunting prospect. With all of the planning and organising there is to do, you will want to be full of confidence that the removal company you choose can offer you a reliable and professional service with a smile! The experience we have built up over the past 40 years provides us with the skill, knowledge and expertise that we share with every single one of our customers to keep them returning to us time and time again. We’re like one big family here at McCarthy’s and we want you to feel part of that when you move with us! So we will always go the extra mile to ensure that your experience of using the McCarthy’s team is smooth, professional and welcoming! All of our staff receive regular training and go on specific packing, moving, health & safety and customer service training courses. We want to ensure that you are guaranteed the best service possible at all stages of the process. Our move coordinators look after you from your initial enquiry right through to the removal day itself. They understand that clients have concerns during the relocation process, it’s only natural, so they’re on hand to deal with any questions or queries that you may have. Please feel free to give them a call! Our Drivers and Packers are absolutely vital to our continued success and in ensuring that you receive a first class move every single time. They’re fully trained, fully skilled and most importantly, they work with a great sense of humour to keep your spirits (as well as your furniture) up! McCarthy’s are full members of the British Association of Removers (B.A.R) we also have British Standards Quality BSEN: 12522, which require a company to have high quality services which are independently assessed annually. We believe in the highest quality standards, so that we can offer our customers the best and most reliable service possible. based on 109 user reviews.